Valentines Day is once again just around the corner, and if you are big on Valentines, you need to get something very special. This Valentines Day, Dimension One Spas is taking the idea a big step further. They have filled a hot tub with heart-shaped candies and the person who guesses the number of candied hearts inside wins a home spa. Lemme tell you that its not just another hot tub. 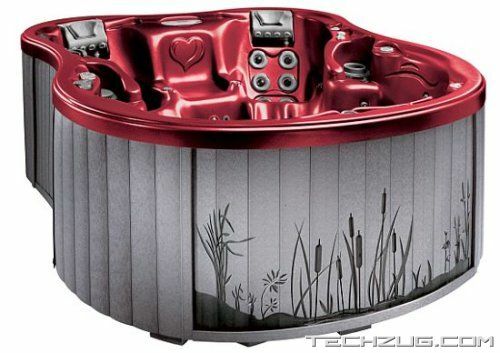 The Love Tub is a limited-edition, candy apple-red, state-of-the-art Amoré Bay hot tub from Dimension One Spas. They are offering only 100 of these Walker Signature Series Amoré Bay spas designed by Vic Walker. You can enter the Sweetheart of a Love Tub contest online till February 29, 2008, at the product site to try and win the candy apple-red backyard retreat. The six-person spas eco-friendly gray exterior is not only made out of recycled plastic milk jugs like most D1 spas, but it also shows a new black-etched Palm tree design panel in front. 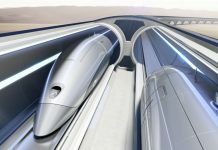 The high tech water jets on the tubs candy apple-red interior are further enhanced by black accents. The Love Tub costs a whopping US $20,000. Well, a candy red hot tub filled with heart-shapes candies certainly beats a box of chocolates on Valentines Day!